<h2>The video games that improve kids’ social skills</h2><br /><p>Imagine racing through a virtual labyrinth against an alien and losing. Given the chance to rerun the race – which you don’t know is stacked against you – or quit, how many times would you try again?</p> <p>The answer for most children is four or five, according to Dr Daniel Peña, a clinical psychologist at Alava Reyes, a psychology centre in Madrid, Spain. If a child gives up after the first go or keeps going time after time, it could signal a problem with their ability to manage frustration.</p> <p>The race is just one scenario in <a href="https://cordis.europa.eu/project/rcn/204247_en.html" target="_blank" rel="noopener noreferrer">Gomins</a>, a games app designed by Alava Reyes to help parents detect emotional or social problems in children aged between four and 12.</p> <p>‘We frustrate children in the video games and then observe their response,’ said Dr Peña. ‘(In the alien race) children with trouble in the competency tend to give up too soon or too late.’</p> <p>Dr Peña says the point of the app is to test skills such as stress control, decision-making, emotional recognition and tolerance. Throughout a game, the app records the child’s responses in order to flag behavioural issues. 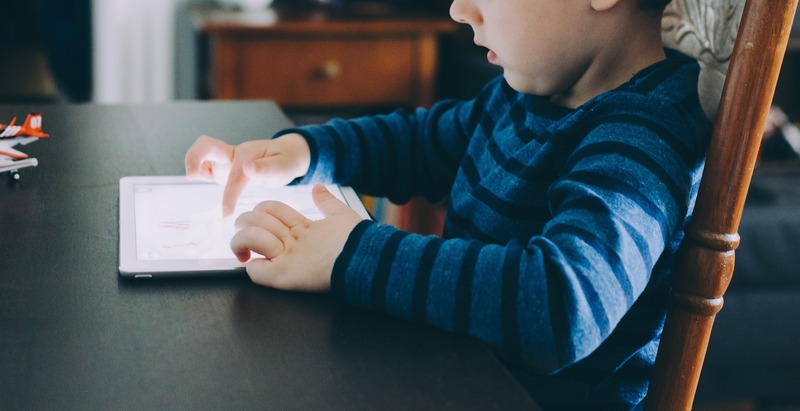 Pressing a particular button repeatedly could indicate problems with impulsivity, for example.</p> <p>It also uses artificial intelligence to assess the child’s facial expressions as they play the game, which are captured through the camera on the mobile device. The results, which Dr Peña says are based on extensive research of what constitutes normal behaviour, appear in the parents’ part of the app and are double-checked against a questionnaire for parents about their child’s behaviour.</p> <p>The app, which is designed to be used in the child’s normal environment, is not intended to replace psychological diagnoses, but can be a simple way of carrying out an initial screening. As part of the development, it was tested in a clinical setting to compare its ability to detect emotional problems with professional methods.</p> <p>‘For emotional problems like depression and anxiety, the reliability is quite good,’ said Dr Peña. ‘We share about 30-40% of the variance with the clinical tools. Video games are (a) less reliable tool to assess children but (you can) imagine a child at home is more prone to play a video game than to do a long set of questions.’</p> <p><img class="@alignleft@" title="Video games are being used to highlight problems with impulse control or frustration. Image credit - Alava Reyes" src="https://horizon-media.s3-eu-west-1.amazonaws.com/s3fs-public/IMCEUpload/Gomins%20Labyrinth.jpg" alt="Video games are being used to highlight problems with impulse control or frustration. Image credit - Alava Reyes" width="1316" height="959" /></p> <p><strong>Missions</strong></p> <p>With each problem comes a mission designed to improve that behaviour. Parents and their children are set tasks including practical activities and family games that last from seven to 20 days that focus on specific goals. With impulse control, for example, the aim is to learn patience or the importance of stopping and thinking.</p> <p>A further trial of the app’s reliability will be carried out in December to test the effect of the facial expression analysis. While a beta version of the app in Spanish and English is already available <a href="http://www.gomins.es/gomins-game/" target="_blank" rel="noopener noreferrer">online</a>, the plan is for it to be further improved before it is rolled out and marketed more widely, probably in 2019.</p> <p>Detecting emotional and social problems early in life can have a lasting impact for a child. In 2015, <a href="https://www.ncbi.nlm.nih.gov/pmc/articles/PMC4605168/" target="_blank" rel="noopener noreferrer">a report showed</a> that five-year-olds with more positive social behaviour, known as prosocial skills, went on to have better education, careers and mental health and were less likely to engage in substance abuse or criminal behaviour by the age of 25.</p> <p>Digital services company Atos coordinates a project called <a href="https://cordis.europa.eu/project/rcn/194170_en.html" target="_blank" rel="noopener noreferrer">ProSocialLearn</a> which developed a suite of video games to help children aged seven to 10 improve social skills such as teamwork<span style="text-decoration: line-through;">ing</span>, trust worthiness and emotional intelligence.</p> <p>The seven games are designed to be used in schools. 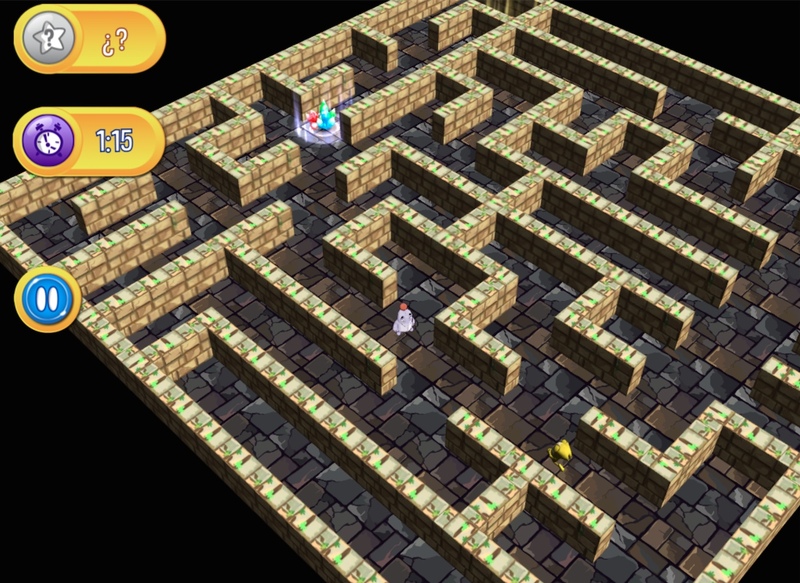 One two-player game, called Path of Trust, requires one child to guide another along paths, as if they were blind, and then decide how to share the benefits of reaching a goal.</p> <p>Tools for teachers allow them to monitor the progress of children so that they can adapt the content according to their needs.</p> <p>While the games follow methodologies designed to improve social skills that are guided by psychologists and studies carried out in the first part of the project, Pilar Perez Berganza says that the main difference between these and other educational games is that they are engaging.</p> <p>‘Until now, there is a problem that games for fun are very good, but games for learning usually are boring and not very well designed. And this has been overcome.’</p> <p> <div class="quote-view quotesBlock quote_horizontal"> <div class="quotesTop"><img src="https://horizon-magazine.eu/sites/all/themes/horizon/images/quotes_top.png" alt="" title="" /></div> <p>'(If we are) able to improve the social skills of children and improve their integration in schools … in the end they have less problems to integrate in their adult (working) life. '</p> <blockquote><p>Pilar Perez Berganza, Project Manager, Atos</p></blockquote> <div class="quotesBottom"><img src="https://horizon-magazine.eu/sites/all/themes/horizon/images/quotes_bottom.png" alt="" title="" /></div> </div> </p> <p><strong>Self-perception</strong></p> <p>The team carried out a pilot study of their games in four countries – Italy, UK, Greece and Spain – to compare the social skills of those who played the games against those who didn’t. They found a small boost in a child’s self-perception when the games were played, and a short-term boost in how favourably a teacher assessed a child’s social skills.</p> <p>They also built a suite of tools and guidance to allow others to build prosocial games, and are working to establish a spin-off company to continue that work.</p> <p>Berganza hopes that strengthening children’s social skills through games such as these could help reduce the risk of social exclusion, which can have long-term impacts.</p> <p>‘We think that if we were able to improve the social skills of children and improve their integration in schools, they improve also their academic results and in the end they have less problems to integrate in their adult (working) life.’</p> <p><em>The research in this article was funded by the EU. If you liked this article, please consider sharing it on social media.</em></p> <br /> <img src=”http://www.google-analytics.com/collect?v=1&tid=UA-40077089-1&cid=the-video-games-that-improve-kids’-social-skills&t=event&ec=republish&ea=read&el=the-video-games-that-improve-kids’-social-skills&cs=republish&cm=republish&cn=republish&cm1=1" /> This post <a href="https://horizon-magazine.eu/article/video-games-improve-kids-social-skills.html">The video games that improve kids’ social skills</a> was originally published on <a href="https://horizon-magazine.eu/">Horizon: the EU Research &amp; Innovation magazine | European Commission</a>.